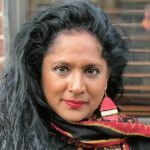 SHARMINI PERIES: Welcome back to my conversation with Vijay Prashad. He’s the author of Arab Spring, Libyan Winter. And Vijay, good to have you back. Vijay, this surge that we are now experiencing in Libya appeared to be sudden. But when you see the military convoy that is headed to Tripoli, and when you look at how equipped General Haftar’s troops are, it is very clear this has been in the planning for a while. So who’s financing his militia, and what is this all about? VIJAY PRASHAD: You know, it’s very difficult to take any of this seriously. And the reason I say that is, you know, for the last six years at least these very countries have backed Mr Haftar. They provided him with exactly the kind of military equipment that you’re seeing on the videos. They provided him with funds. And many of these countries have basically staked the future of their influence through Mr. Haftar, and not through the UN-backed government of national accord. And let’s just back up and wonder why that is. I mean, you know, you’ve got to see that for Europe, and this is where France is got to take responsibility for some of what’s happening, and maybe the Italians, in Europe, you know, there’s been a real debate about the refugees that have been coming across the Mediterranean from Libya. And last summer there was a European plan that essentially would militarize the coastline even more. And the national accord government of Mr. Saraaj rejected that plan. There’s a feeling that if you have a strongman like Khalifa Haftar in charge in Libya that he’s going to shut down, for instance, the trail of refugees going across the Mediterranean, and so on. So there is an appetite in places like France to go ahead with somebody like Haftar in power rather than a much weaker government of Mr. Al-Saraaj. So that’s something to consider. In the early days when Haftar tried to, you know, make a move on the oilfields, and also on the oil terminals which are on the Mediterranean Sea, he traveled to Moscow. He had very close discussions with [the Russians], and [we know that] because Mr. Khalifa Haftar has been going after some of the Al Qaeda-type groups, the Libyan Islamic Fighting Group remnants and so on, in Benghazi and around Benghazi. He has received air support from the UAE and from the Saudis. So there is a long relationship with a commonality of interests between Mr. Haftar, who is essentially the strongman, a major military force in Libya, at least for part of the Libyan military. This kind of militia military. And he has a kind of commonality of interest in many of these powers. It’s very hard, you know, to take them seriously. I think this is a kind of a fax machine sort of statement rendered by these governments. They have to notionally support the UN government. They’re saying that we condemn it. But I don’t think anybody takes them seriously. After the government falls in Tripoli there’s going to be talk from some of these countries that, well, now we should somehow seek stability through Mr. Haftar. SHARMINI PERIES: Vijay, in Part 1 you mentioned that General Haftar is very close to Washington. The proximity was interesting. And there are many reports that he is also supported by UAE, that there is actually this caravan of military convoy, of trucks, and equipment, and so forth actually came from the United Arab Emirates. You mentioned that they were being supported by Egypt as well. Now, we also cannot bypass the fact that General Haftar has spent quite a bit of time in Russia. There are many photos of him in Russia, wearing Russian fur hats and so forth. But Russia has issued a statement saying that they support a peaceful UN resolution to what’s happening in Libya today. So who is backing the general, and what are his politics? VIJAY PRASHAD: It’s interesting. I mean, this is part of the kind of, you know, bizarre turn of events in the world. You know, at one point in 2010-2011, you saw that people in the West fulminating against Gaddafi, you know, talking about democracy in Libya, we saw a range of people–some of them, of course, where there are still allegations that their election campaigns were funded by Mr. Gaddafi, such as Nicolas Sarkozy of France, and so on. They were on a high horse about dictatorship in Libya, authoritarianism, need to overthrow it, and so on. By the way, this is France, which had just been caught flat-footed in Tunisia, where it had backed, essentially, the dictatorial government that was overthrown in the first bout of the Arab Spring. In fact, France backed that government right till it fell, and very quickly pivoted to, in a sense, reestablish its reputation as a country of great Enlightenment values, and pro-democracy, and so on, and using Libya as the best case for it to rebrand itself as a champion of human rights and so on. And so France at the time was talking a great deal, and so was the United States, Hillary Clinton in the lead, about the need to bring democracy to Libya. Well, it turns out, of course, that they brought a hash of things into Libya. Brought chaos in Libya. And now they are willing, after all this, to return Libya to the very cliche that they said they wanted to overthrow. In other words, the strongman authoritarian government. And I find that here the question should not just remain within Libya, but we need to reopen questions about these regime change wars such as against Libya, which brought great loss of life and terrible suffering for the Libyan people from 2011 onwards. You know, didn’t improve their lot. And here we are, you know, several years later, eight years later, saying, well, you know, Libya needs a strongman. I find this not only very disturbing, but it’s an indictment of Western powers. SHARMINI PERIES: All right. So let’s talk about what’s there in Libya, in terms of the interest of France, Russia, U.S. It is an oil-rich country. Now, why are they so interested in Libya? 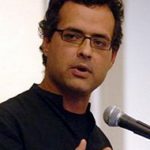 VIJAY PRASHAD: You know, it’s an interesting thing, and this is something I think people need to recognize, that Europe has really suffered greatly from the policies, the political policies, of the last decade. You know, there was, of course, the sanctions regime against Iran which cut Europe off from Iranian energy supplies. Then after the fracas in Ukraine in the Crimea there was a sanctions regime against Russia, and the Russian pipeline, the Russian-German pipeline will stop. So Russian energy entering Europe also was blocked. And the third major source of energy that’s close to Europe was Libya, and then there was this ridiculous war in 2011 against Libya. So right now the three closest and most efficiently deliverable energy sources, Russia, Iran, and Libya, have been basically offline. The Trump administration is threatening Europe, saying you cannot buy Iranian oil. Trump has already put new sanctions on Iran. The attempt to open the German-Russian pipeline keeps coming against blocks put by the United States and by other European countries. And so there is an appetite to somehow bring Libyan oil back into the market at full strength. 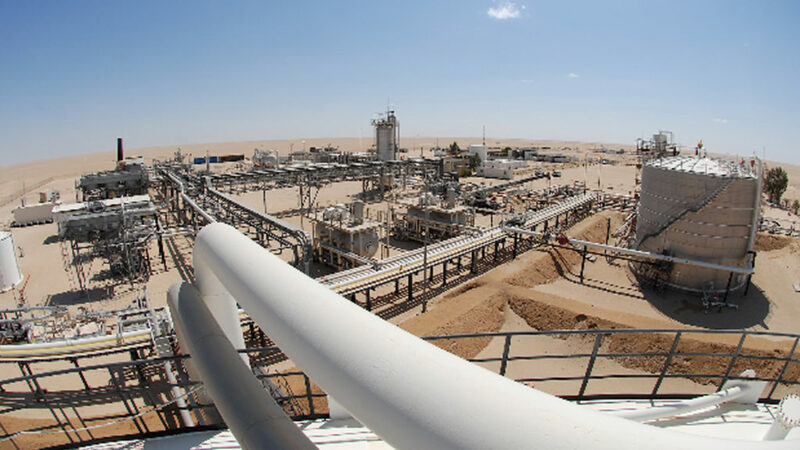 Libya has been selling oil, but it’s not been at full strength. Not even near its full strength. So I think there is an appetite inside Europe to somehow at any cost stop the refugee flow northwards and to start the oil flowing northwards. You know, it’s an interesting thing about Europe. It’s quite happy to have the oil migrate northwards. It doesn’t want the people. SHARMINI PERIES: All right, we’ll leave it there, Vijay. Very good to have you on, and looking forward to your report next week. I think we might be talking about Libya again. VIJAY PRASHAD: Yes, for sure. Thanks a lot.